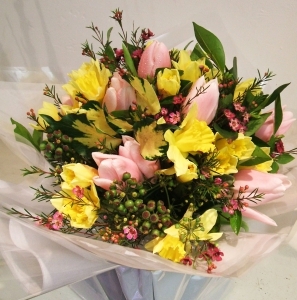 We deliver beautiful flower arrangements all over London with a prompt service and a smile the same day. We also cater for Weddings and all Events including funerals. What makes us unique is that we listen and cater to every customers individual needs and then add a pesonal touch. We began as a Flower shop (Emporium) in the heat of the fashionable Brixton Village London, as and progressed to go online to create a wider audience. Unusual arrangements, locally sourced flowers. 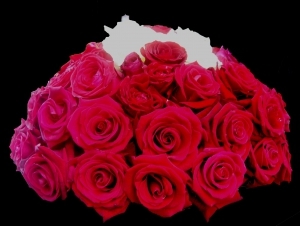 service with a smile whatever the weather, quick delivery, and a sese of fun, bringing happiness to the flower industry with the help of Direct2Florist. We work from a studio located central west London. But we can deliver all over the exciting city of London. We deliver to funeral homes, private houses, hospitals, pubs, bars resturants, Brides, churches etc. You never know when you will recieve a wonderful supprise with flowers. Do you want to know or should it be a supprise? Great to choose from a wide selection online. Next day delivery as requested. Excellent bouquet with hand written note. 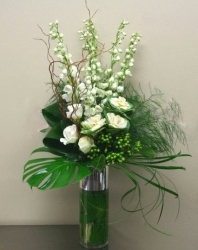 Ho utilizzato il servizio online di Direct2florist per commissionare a questo negozio una composizione floreale da regalare alla mia ragazza che si trovava a Londra e devo dire che sono rimasto molto soddisfatto. La composizione era molto bella e curata nei minimi dettagli e la consegna ?? stata perfetta e puntuale... inoltre, i prezzi sono giusti per il tipo di prodotto e di servizio. Per me altamente consigliato! First time of using. Flowers were delivered as requested and the recipient said they were beautiful. So very happy with Green Academy and would use them again. Excellent service! Flowers delivered were more than expected and with more colors, which my GF loved. Delivery on time. I will use it again! The flowers were as described on the website and my Mum was really pleased with them. I am happy to have found a company that delivers quality products as described. I will definitely be using the service again. Thank you very much. 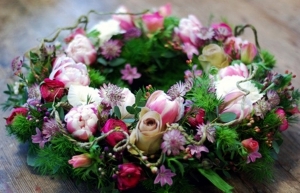 A very lovely floral Valentine's day bouquet composed by the florist. 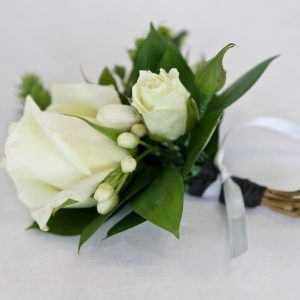 A personal impression that the expertise of the florist can be trusted. Very fast reply to email regarding delivery. The flowers looked lovely and loved the added Angel! They sent me a photo of the flowers (no florist has ever done that before!) and they were stunning! Highly recommend! I've used this service before, albeit with a different florist, and it was excellent. This time the flowers were smaller than anticipated, and a few of them were mildly damaged. This is ok, but for the price they were questionable. As it was a surprise i was very pleased with the way in which the florist phoned my daughter first to check she'd be home. Then they delivered without ruining the surprise. Very happy with there service. Have not heard from the recipient as funeral was yesterday. 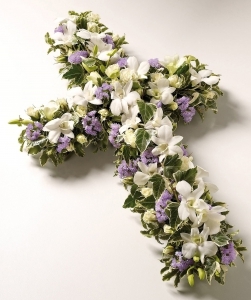 A beautiful tribute cross with a combination of mixed seasonal flowers. Send your love ones off in style. (Delivered within 48 hours). Standard two foot. A beautiful, fresh and colourful Bridal bouquet. 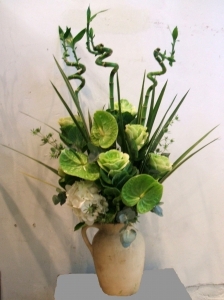 With red and creame/white roses and beautiful unusual foliage. Alternatively could be used for other occasions. One for the Boys, or the Girls? 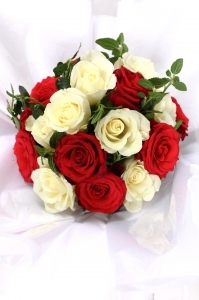 Red and creme/white roses. Or the seasonal flowers of your choice.